​ICC is committed to helping to bring more young women into the ICT field. As there is much work to do in gender parity in ICT generally – and information security in particular, we were happy to sponsor three undergraduate students from the City University of New York (CUNY). Kiara Esteves, Momina Din and Aja Tarrao teamed up to deliver a project with ICC. This was a three-week internship through the auspices of Women in Technology and Entrepreneurship in New York (WiTNY). The internship allowed the three to learn about a variety of business areas in ICC, information security, ICT today and learn about the United Nations. WiTNY- launched in 2016 with the City University of New York (CUNY), Cornell Tech and industry partners work to propel women into tech careers through education, work experiences, and community-building. WITNY prioritises digital enthusiasm for all. Working together, their goal, like ours – is to narrow the gender gap in technology. 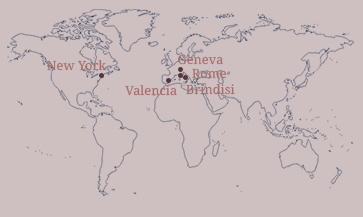 Our ‘Winterns’ were here from 7 January through 24 January 2019, working on a project to produce an annual report for ICC’s growing information security services. 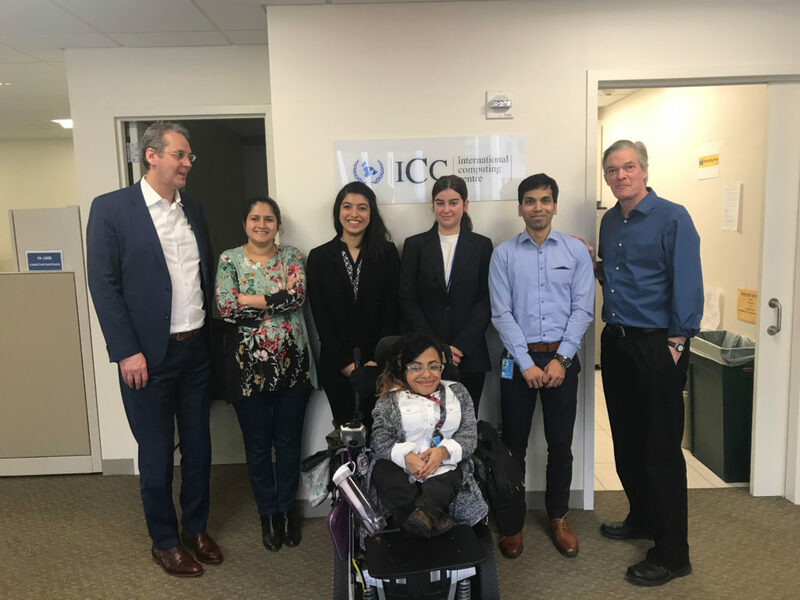 The experience allowed our three interns to also learn about a variety of business areas at ICC, meet with the entire geographically-dispersed infosec team and a number of our Clients. The interns visited Accenture and Cornell Tech’s new smart campus on Roosevelt Island. They also had a tour of the United Nations. They worked with Tima Soni, Chief, Information Security Services and William Allen, Communications Officer and Information Security Awareness liaison. We talked a lot about working for non-profits, for the United Nations and what it means to support the Sustainable Development Goals. Trip to Cornell Tech with Amy Furman, Director of Strategic Planning and Operations, WITNY and Fatima Sacko at WITNY with six members of ICC. 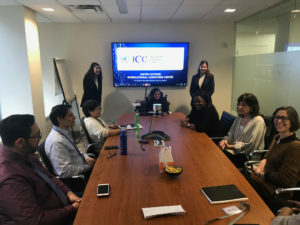 The final presentation was attended by ten members of ICC as well as Melina Diaconis from CUNY, Andrea Shapiro Davis, Associate Vice Chancellor of CUNY and her Chief of Staff, Nyisha Howell. The interns were respectful, quick to understand business and professional attitudes and attire, working well together as a team and providing a professional report at the end of their Winternship. 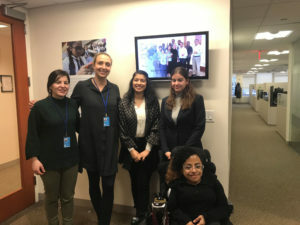 ICC was proud to host them and to present them with SDGs pins, hoping that they might will return after college to work in the United Nations system! We hope to involve these fantastic young women in our annual International Girls in ICT Day in April. 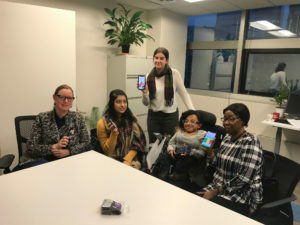 See last’s year’s event here: https://www.equals.org/single-post/2018/06/18/New-York-City-celebrates-Girls-in-ICT-Day.